During last quarter’s roundup, I gave a special mention to Rachel Crothers’ A Little Journey at the Mint Theater. 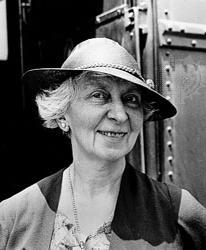 Like many, I had not heard about Rachel Crothers (1878-1958) even though she wrote 37 plays (a bunch of which were produced on Broadway); she also acted, produced and directed. I was completely drawn into A Little Journey about a group of strangers embarking on a train ride across country and was surprised that the dialogue was not completely dated even though it was written in the early 1900s. …Ms. Crothers was an author of considerable accomplishment. 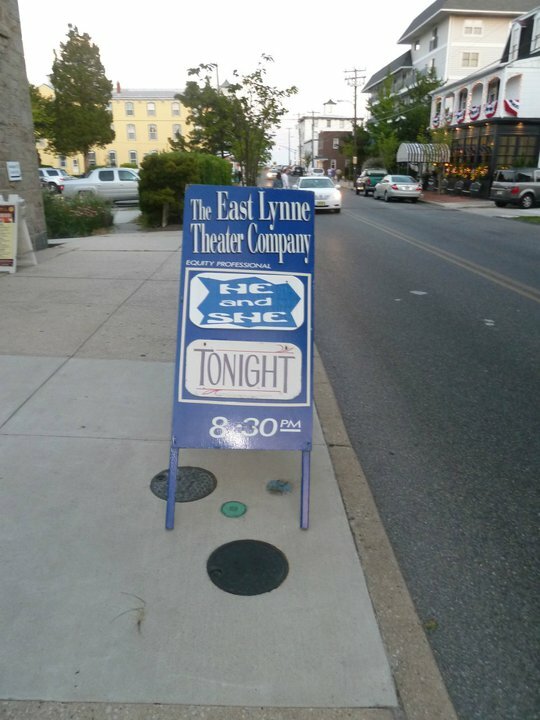 If you seek further proof of her gifts, head down to Cape May, the island resort town at the southern tip of New Jersey, where the East Lynne Theater Company is putting on a solidly satisfying revival of "He and She," written in 1911 and last seen on Broadway in 1920. Armed with Mr. Teachout’s recommendation, my desire for a quick beach getaway from NYC and discount tickets from the New Jersey Theatre Alliance, I booked a room at The John F Craig House, a local B&B, and headed south for a one day trip to Cape May NJ. Oh, what a beautiful day I had in Cape May. The weather was perfect, and I had a wonderful time taking in all the Victorian homes on a trolley tour through the historic district and walking along the beach. After dinner at Martini Beach, I strolled over to the First Presbyterian Church of Cape May, the East Lynne Theater Company's main performance location. On the cool weekday night, there were roughly 30 audience members in the church. The set was very simple; however, as Mr. Teachout noted in his WSJ review, the acting was solid. In He and She, the relationships between two couples - one married and one engaged - are tested. A husband and wife both enter a prestigious art competition. Do their relationship survive when the wife unexpectedly wins the competition? In another situation, a man and woman get engaged; however, as the woman's career begins to blossom, can she marry a man, who prefers that she stays at home and be a housewife. I watched this Rachel Crothers' play amazed by how modern her words appeared for the 1920s. Here I am in 2011 watching this play and it is still so meaningful in many ways. It was a treat to see this production, and I felt a tinge of guilt that I purchased discount tickets as the theater company held a raffle during intermission to help with their costs. I purchased a few of the raffle tickets but did not win. Since I have access to such wonderful and diverse theater in NYC, I rarely pay attention to what is playing outside the city. Well, Cape May and the East Lynne Theater Company have changed this and experiencing another Rachel Crothers play was well worth crossing the river for.